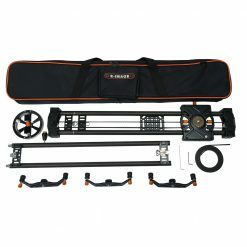 Transport Weight of Full Kit: 13.4 lb. 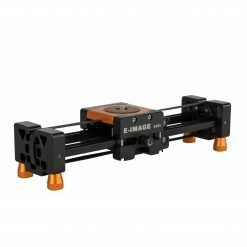 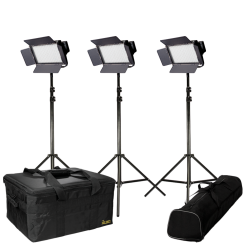 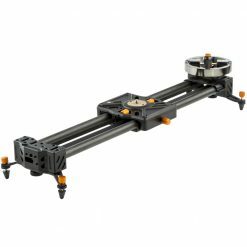 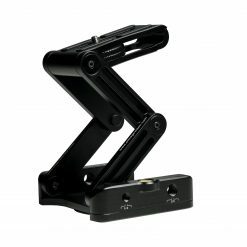 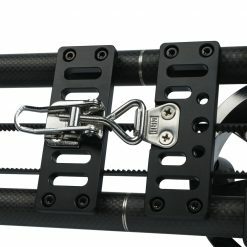 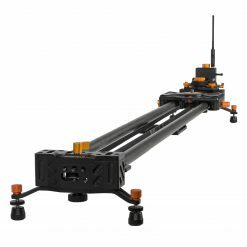 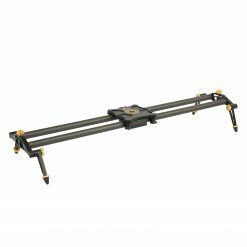 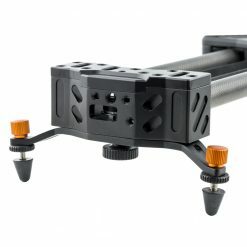 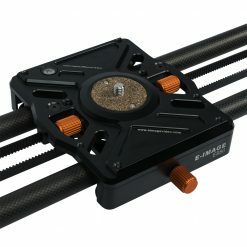 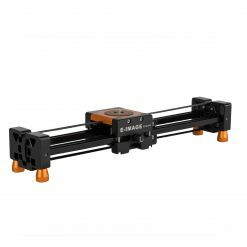 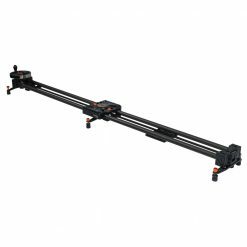 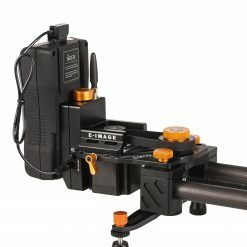 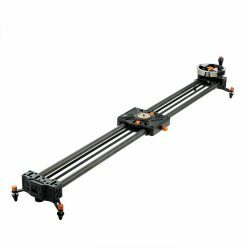 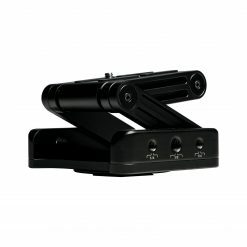 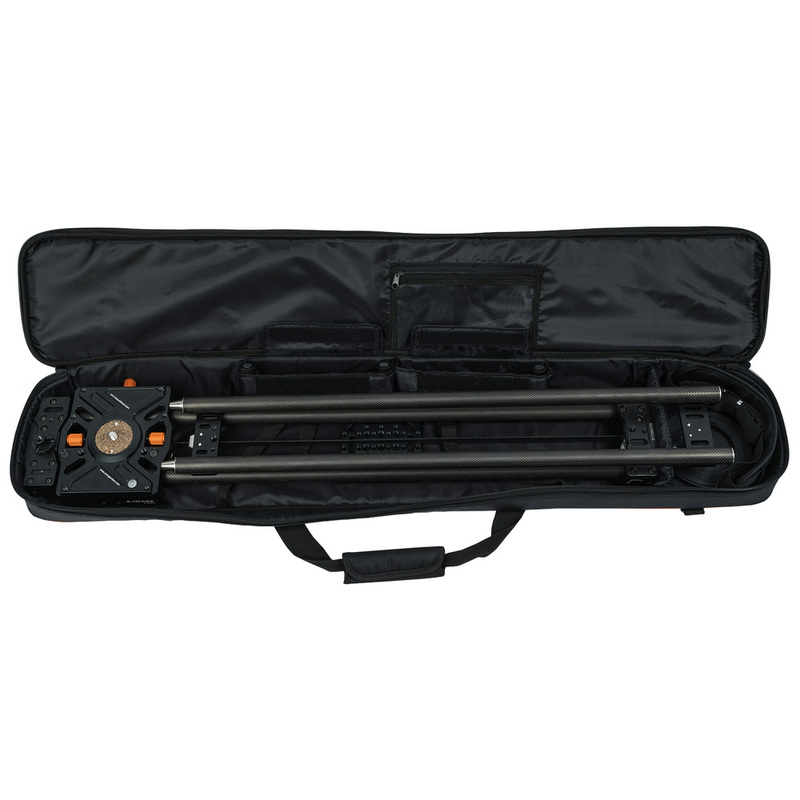 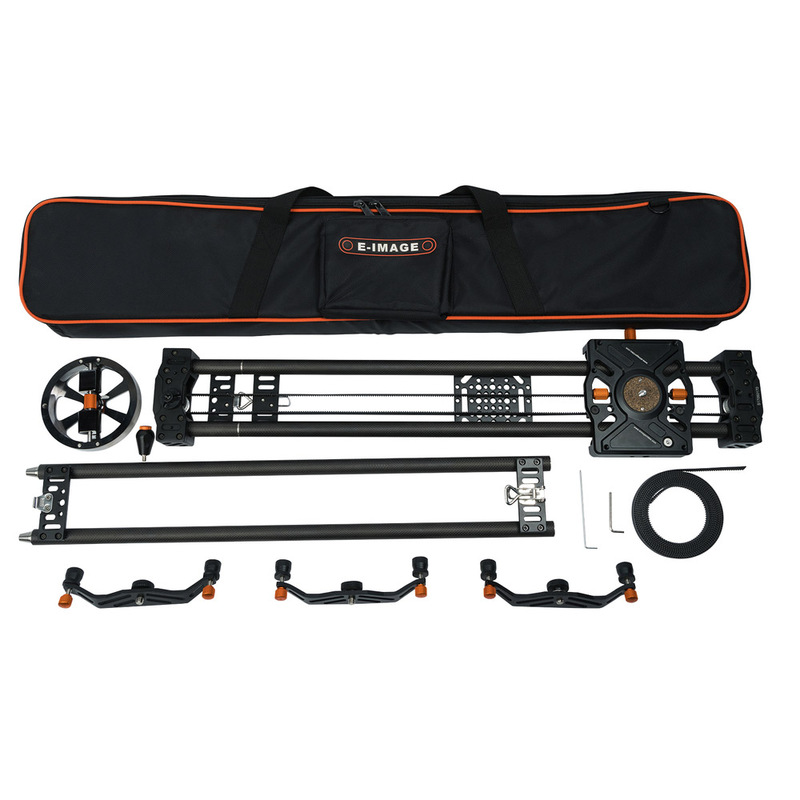 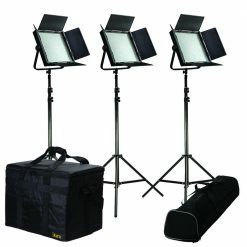 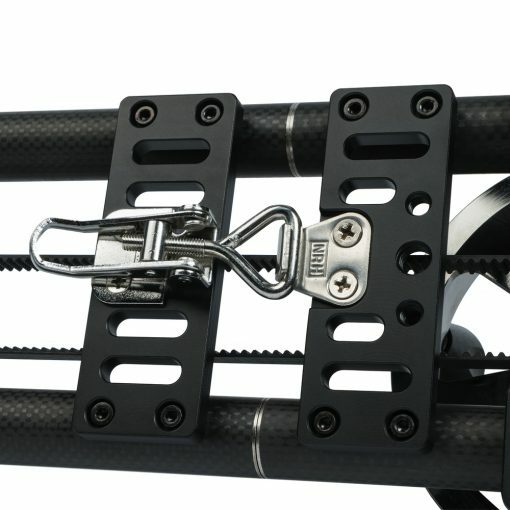 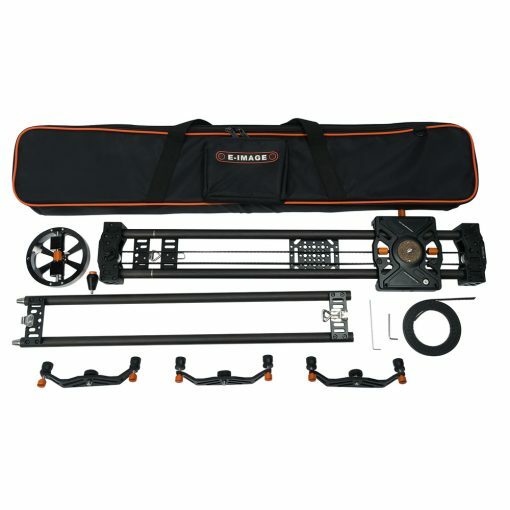 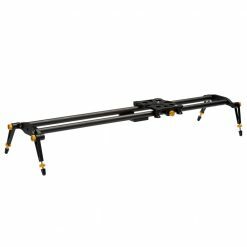 The ES150 is an extendable slider from E-Image. 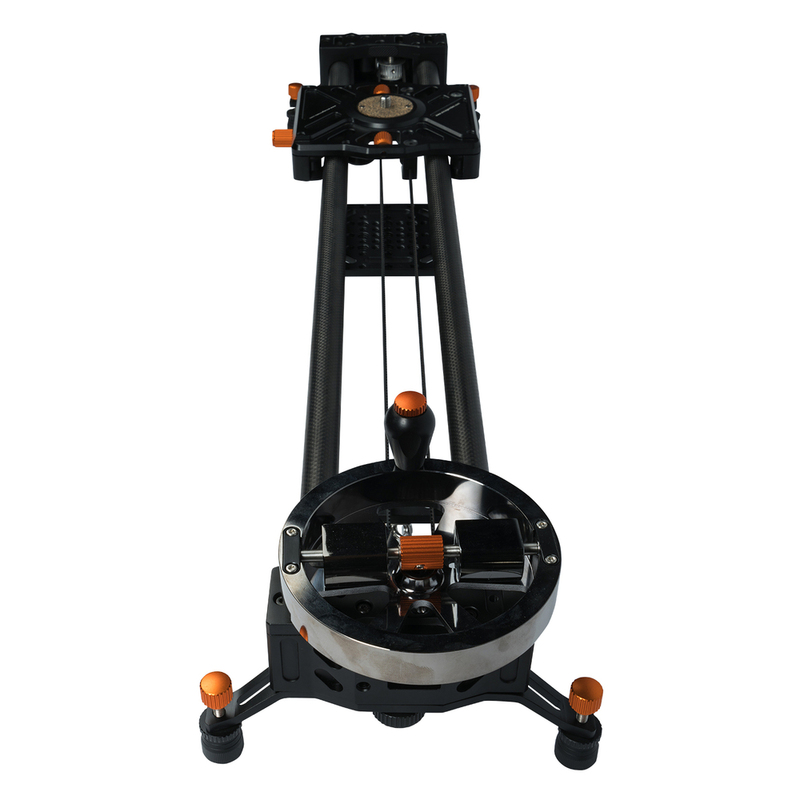 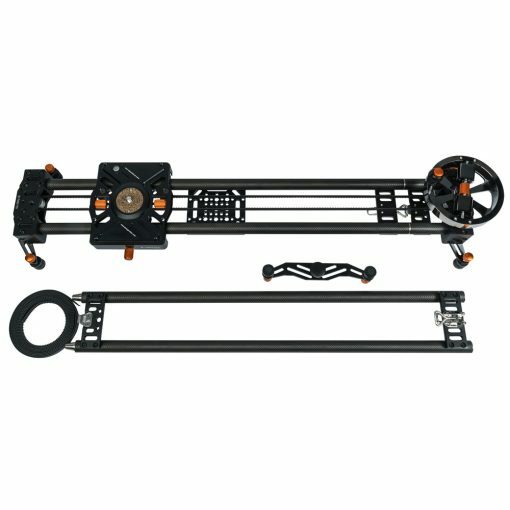 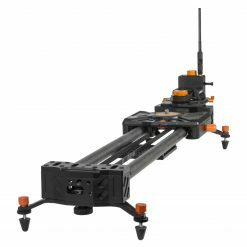 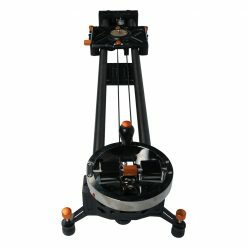 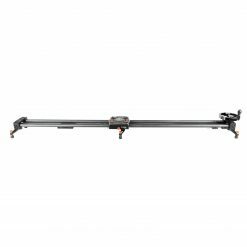 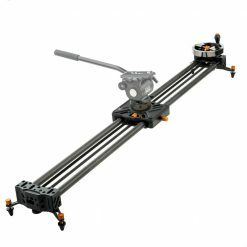 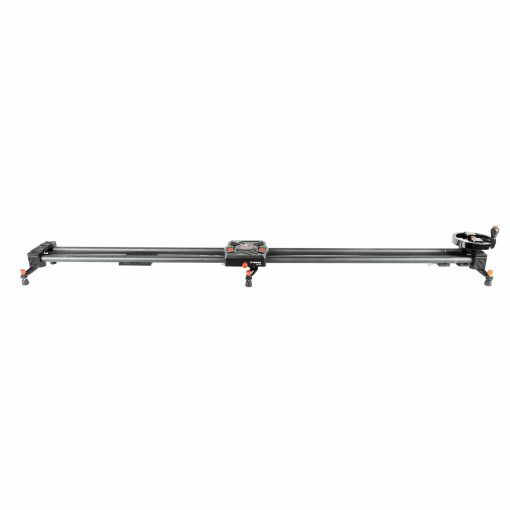 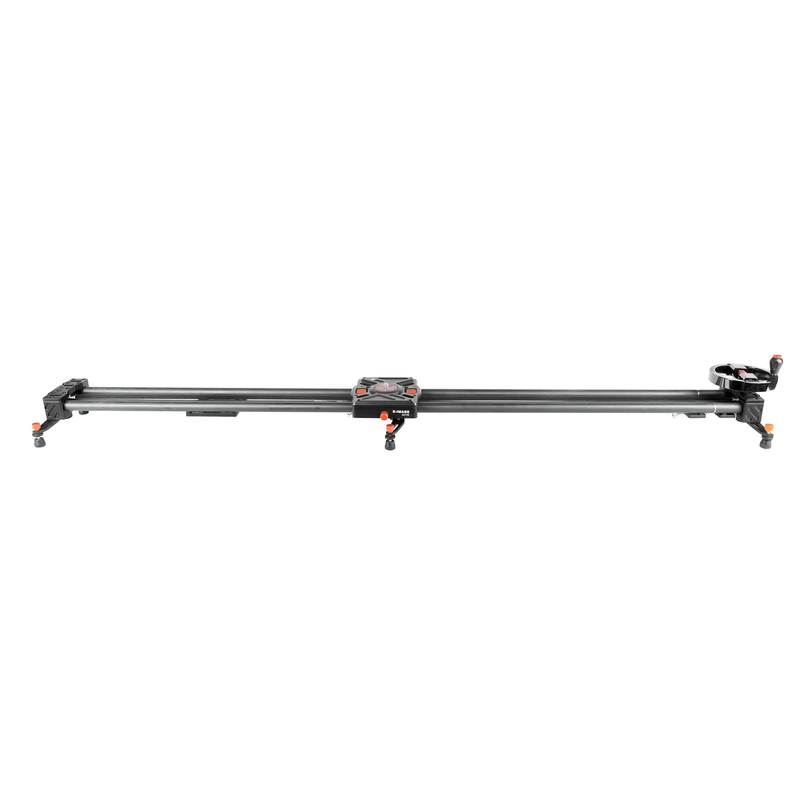 The ES150 comes in a set of parts: an 80cm slider with a hand wheel, drive belt, and legs, and an extension piece with an extra set of legs and a longer drive belt to accommodate the expanded travel distance of 150cm. To change the slider length, remove the shorter drive belt and unhook the end piece. 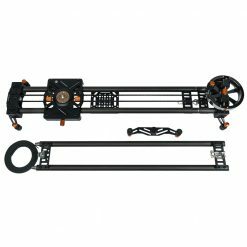 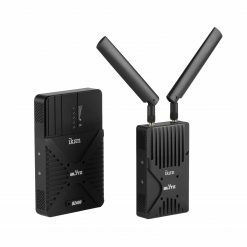 Attach the extension, then re-attach the end piece to the extension. Next, thread the longer drive belt through from the carriage, through the end pieces, and back around to the carriage. 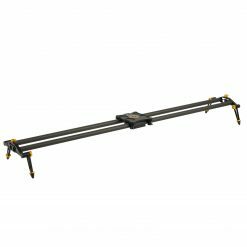 Tighten the belt, and the slider is now nearly twice as long as before! 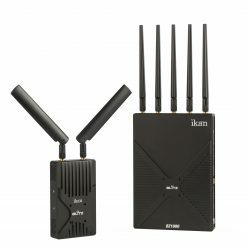 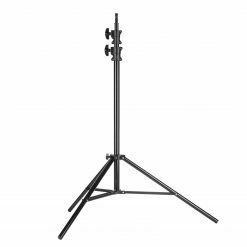 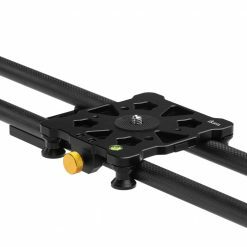 The ES150 can mount to 1/4-20 and 3/8-16 screws on the center cheese plate when in 80cm mode, and can mount to 1/4-20 and 3/8-16 screws or to a 5/8″ baby pin stand mount on the end pieces in any configuration. 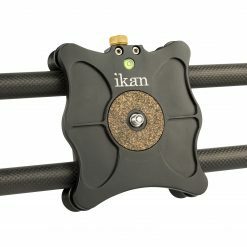 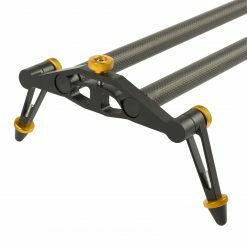 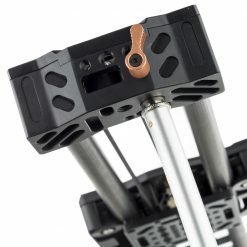 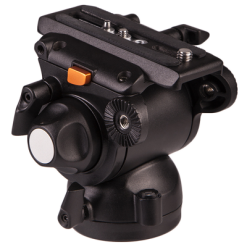 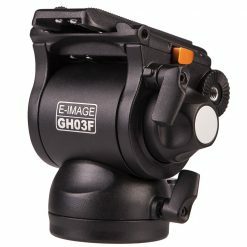 The carriage has a 3/8-16 screw for mounting large cameras or fluid video tripod heads with a flat base. 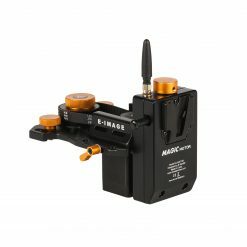 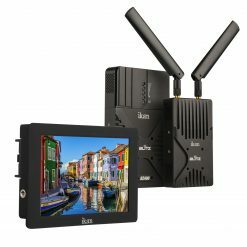 The end piece is compatible with both the hand wheel (included) or the E-Image Motor1 (not included). Dimensions: Total Length (Short): 32.8"/~83.5cm | Total Length (Long): 60.25"/~153.5cm | Short Drive Belt: 61"/~155.5cm | Long Drive Belt: 117.5"/~300cm | Expansion Rail Length: 28-3/8"
Fixture Weight: Full Kit (w/ Bag): 13.4 lb. 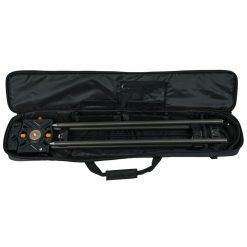 | Short Slider: 8.3 lb. 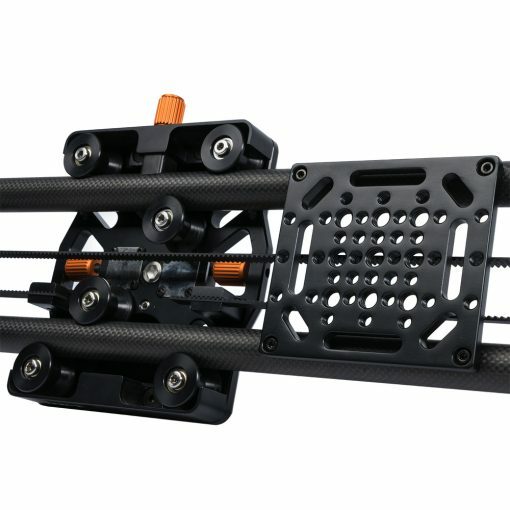 | Long Version: 10.3 lb. Payload: Recommended Max 15 lb.